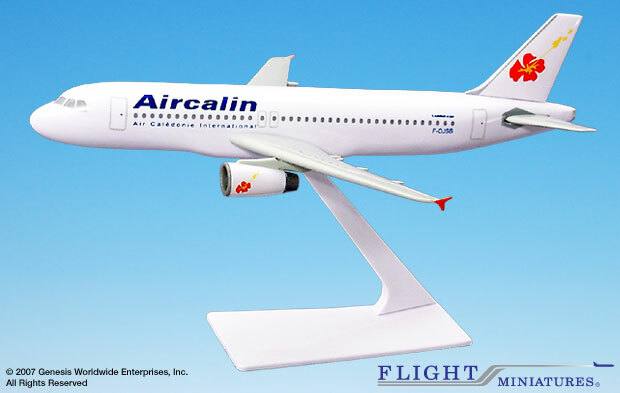 Aircalin, the airline of New Caledonia (a French overseas territory), flies routes to Australia, Japan, and several destinations in the South Pacific. The airline placed an order for its first Airbus A320 in June 2003 and took delivery of this aircraft in January 2004. Launched in 1984, the A320 entered airline service in April 1988. This twin-engine narrow-body jet is used for short and medium-haul routes. Typically seating 150 passengers in two classes with a range of up to 5,700 km/3,050 nm, the A320 is in widespread service on six continents, flying routes that range from short European commuter sectors, through European charter operations to coast-to-coast US flights.